Seven of the women’s matches went to seeding, the exception being Rachael Chadwick’s straight games win over seventh seed Menna Hamed, and she faces a quarter-final against the only other Englishwoman left, 2015 champion and third seed Fiona Moverley, who almost let two big leads slip as she beat Salma Youssef in straight games. The sole Egyptian success came as second seed Hania El Hammamy accelerated away from Anna Serme after a close first game, setting up a quarter-final against Japan’s fifth seed Satomi Watanabe who ended hopes of home success with a four game win over AllyThomson. Day three comprises men’s round two from noon, then the women’s and men’s quarter-finals starting at 15.30, all on court five. 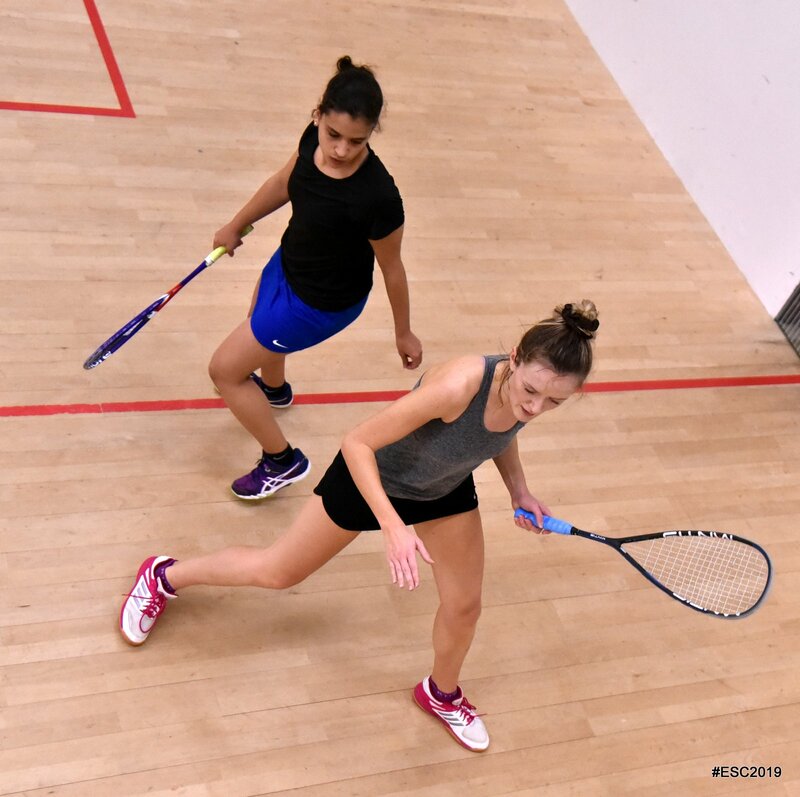 PSA W20 Women’s Edinburgh Sports Club Open 2019, Edinburgh, Scotland.